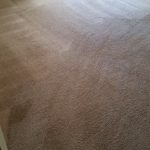 Why Do We Offer Carpet Cleaning Coupons? Carpet cleaning is a home service that should be performed at least once a year. However, most of you tend to neglect the carpet and upholstery in your homes and clean them less often. Therefore, when it is time to call an Orange County carpet cleaning company, it becomes an expensive ordeal. Imagine servicing your car only once a year, you can figure out yourself you will see more problems with time. The same goes with your carpet cleaning. In case you do not keep up with maintenance of your home, your carpet will run out of life faster. 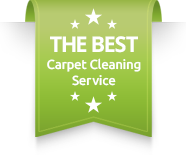 Therefore, Green Carpet Cleaning Orange County is proud to offer our carpet cleaning coupons. We offer these carpet cleaning coupons so it becomes more affordable for you to call us to help you out. When Do We Usually Offer The Best Carpet Cleaning Coupons? Carpet cleaning coupons are mostly found around the time of the year when you tend to get your carpet cleaning. We experience a higher scheduling during spring cleaning, summer cleaning and in during the holidays.We stand behind our green carpet cleaning process and we feel honored to serve our Orange County customers. 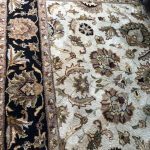 Therefore, When we know that most people are looking for carpet cleaning in Orange County, we make sure we make it available for you. Orange County Carpet Cleaning Coupons. 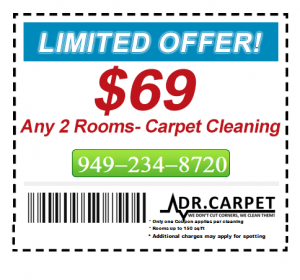 Our Orange County carpet cleaning coupons starting from as low as $69 mostly. For $69 we offer 2 rooms green carpet cleaning. In addition, you could also switch the carpet cleaning coupon for an equivalent air duct cleaning. Moreover, We have upholstery cleaning and tile and grout cleaning Orange County also available.This summer you could also enjoy our carpet cleaning coupons by simply calling Dr. Carpet Irvine. In addition, we offer same day service for most cities around Orange County. 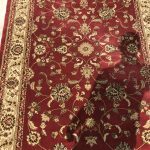 Same day carpet cleaning in Irvine, Mission Viejo carpet cleaning, Orange carpet cleaning etc.